When I reviewed Dishonored, I opened it up by saying that the stealth genre is practically dead and that the old guard have degenerated into action games with the odd stealth segment. A big part of me was very disappointed when it turned out that Hitman: Absolution would follow in the footsteps stamped out by Splinter Cell: Conviction. Of course, IO Interactive would be quick to say that it's designed in a way to be easier for newcomers to play while retaining some design elements for old fogeys to still enjoy. However, what I ended up getting after a while is that it appeals to nobody, save for those who find games with more flashy set pieces than actual gameplay to be good game design. The biggest thing is that it no longer has that nuanced playground feel that the earlier Hitman games had. It feels more like the latest instalment of the Splinter Cell franchise with its added emphasis on tactical espionage, or the newest instalment of the Metal Gear franchise with its added emphasis on sneaking and cutscenes. Speaking of cutscenes, Hitman games were never really known for having their storylines take anywhere near as much precedence as the gameplay, nor was it ever anything more than “here is target, assassinate it because they have it coming; yours truly, The Agency”. When Absolution gives it the old college try, I have to be honest... it just doesn't work out as well as it would like to. Instead of The Agency just giving Agent 47 targets to kill, they're telling him to find Diana, who had gone rogue and is threatening to expose them for what they are. You're also tasked with finding Victoria, a teenage girl that was placed under Diana's care. Agent 47 does recover Victoria and places her in a Catholic orphanage, only for her to get kidnapped by Dexter Industries. From there, Agent 47 has to recover her from those evil people! Okay, sounds like a decent enough setup, but for crying out loud, the execution is laughably terrible at best and just plain terrible at worst! Making Agent 47 more like a badass action hero with a sympathetic side rather than a cold, calculated hitman was a poor decision. It's mainly because, at the end of the day, he's really not a compelling character at all in this game. He simply exists as a generic action hero with no development or real personality to call his own. Really, everybody in this game falls under the generic action character tropes to such an extent that it baffles me why IO Interactive decided to focus more attention on the story.. sort of trying to make a Metal Gear Solid game out of the Hitman license. See, the thing with Metal Gear Solid is that it has crazy concepts, erratic pacing and more exposition than forward moving story. As poorly told as it may seem, at least Metal Gear Solid keeps things interesting. Hitman: Absolution, on the other hand, seems more content with acting like an action movie with a hint of espionage. But at the end of the day, the story is just terrible. It does nothing to hold your attention and just serves to waste your time. Really, it does a great disservice to the gameplay. 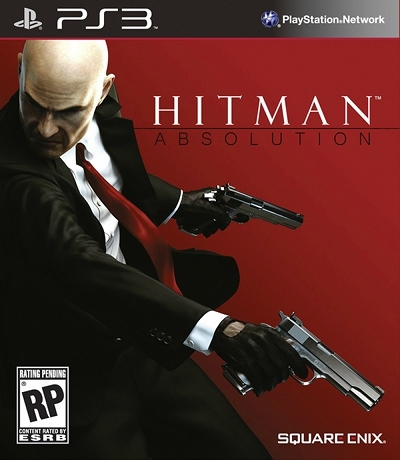 Because it's a more story driven experience with personal vendettas, Absolution could either have a lot of fluff with very few assassinations, or balance out the setups with the assassinations themselves. Sadly, this game is more about sneaking around and infiltrating where your eventual target(s) will be, and then taking down said targets because the story said so. “Okay,” I thought, “maybe this game will make it interesting, right?” Well, not quite. The shooting mechanics are touchier than a Vatican daycare unless you use the mark and execute feature. Sure, you can automatically get into cover, but between sensitive camera movement and the lack of bite in shooting guards unless you use the Instinct feature, it often feels like it's not worth shooting anybody, even when you have to... unless you're using the Instinct feature, but I'll get to that in a sec. The stealth mechanics are fine as you can sneak around with no real problem, although a lot of this is just so you can make it to the door at the end of each segment of each chapter with a disguise system is not all that well executed. Oh yes, the disguise system, the one thing that makes Hitman Hitman, is not all that well executed folks and a lot of that is due to the upgraded AI. Not only are they more relentless than ever when they spot you, but they also seem to have eagle vision as they can spot you from like fifty feet away, regardless of whether you're wearing your trademark black suit or wearing just the right disguise. Even more impressive is that they can spot you if you're wearing a mask that'd be suitable for their ranks, in crowds and even when your back is turned to them, it makes one wonder what is the point of wearing a disguise if, for the most part, you get spotted anyway. Well, if you use the Instinct mode, you can cover your face. While on the subject of Instinct mode, not only can you hide your face, but you seem to have the power of x-ray vision – seeing through walls, detecting what kind of person each human being around you is (whether they be citizens or targets) and also seeing what objects are interactive – as well as the power to suddenly shoot like an expert marksman. Through that, only then does the disguise system work the way that it ought to. Sure, if you're trying to blend into a gang, it makes sense that they'd know their fellow members and would bash in or shoot up anybody who tried to sneak in, but it doesn't make as much sense for fellow policemen and SWAT members to do so, at least not without seeing their clearance. I'm pretty sure not every policeman and SWAT member knows every single workmate as some can actually be hired into their ranks under everyone else's noses! From there, you'll be relying on sneaking your way through the game. No IO Interactive, this isn't Metal Gear Solid, it's a Hitman game - the idea is to use the disguises to infiltrate the levels, not just Solid Snake your way through each level! But that's not even mentioning what they've done to the assassinating. Oh, to begin with, it's not all doom and gloom as one of your first assassinations takes place within a crowded place and you have a couple of methods of which to carry it out. Should you deliver poison food, or should you set up the car bomb? I was like “nice guys, at least you deliver the goods where they count”, but I was clearly cheering a bit too early. Why? For one thing, Agent 47 seems to have a bad habit of leaving his toys behind at the end of each chapter because you begin every single one with a pistol that's louder than the mix for Death Magnetic. You'll find a sniper rifle in one chapter that you can use to snipe a target if you want to, but you'll have no sniper rifle in the next chapter regardless of whether you picked it up before or not. You're left at the level's mercy as it provides you with the methods to kill your targets. Sure, I can live without the loadouts because the crappy story established that this is personal, but why can't I keep what I've found? I thought that the story was an ongoing one, not just a series of assassinations set at different times. Meanwhile, Blood Money and Silent Assassin let you keep what you've found and yet... each assassination felt like their own separate things while only having minor things link each assassination together. Furthermore, it feels like you don't really have as many methods of which to carry out your assassinations. A lot of the fun of the Hitman series comes from utilizing what you can find in a way that kills your target, and exploring big levels to find the different means of carrying out said assassinations is the cherry on the cake. Not quite the case here – between shrunken down levels that are usually linear and are far less interesting to explore, coupled with them being significantly less loaded with killer tools (god, even Codename 47 had more methods to utilize), there isn't nearly as much satisfaction to be gained from carrying out any of these assassinations. Sure, there are options in general, but the overall replay value is at an almost all time low because you're given so little to utilize. What, a whopping two, maybe three methods if it even lets you assassinate somebody? Bitchin'! Of course, that's IF you carry them out yourself and not have the game do it for you in some flashy cutscene, complete with slow motion. Whether that's via the mark and execute feature or in a cutscene, it's like the game wants to take control away from you. If it wasn't for the sneaking around, it's almost as if the game wants to play itself... and that's really my biggest grievance not just with Hitman: Absolution, but a lot of modern games as a whole. They seem to enjoy relinquishing control away from you so that they can either play out a boring cutscene or show your player character shooting some fools in slow motion, complete with explosions. The soundtrack is... okay, I guess. Usually, Hitman games have soundtracks that blend intriguing soundscapes with cinematically exciting orchestrations (this was before every second game overused it to the point where you play a Super Nintendo game or pop on some Iron Maiden just to get away from it). Here however, the quieter songs are literally just there in the background, not really doing much if anything to inspire mystery and intrigue. The more “exciting” songs literally just go in one ear and out the other and don't really make any of the action set pieces or even the action oriented sections of play any more enjoyable. The voice acting is at least good though. Well, good in the sense that it doesn't sound like crap despite such a terrible story. I at least applaud these Hollywood actors for giving it the old college try. I get what Hitman: Absolution was going for – a more story driven experience with Agent 47 assassinating for personal reasons. This could've been fantastic, but instead, it's a mediocre stealthy action game that focuses more on flashy set pieces than actually assassinating, getting immersed into the experience or even having a modicum of fun. The stealth mechanics themselves are fine, but with a broken disguise mechanic, uninspired level designs and that disturbing feeling that the game wants to play itself, what you end up with at the end of the day is a game that doesn't quite do it regardless of whether you're a Hitman newbie or an old fogey who loves the series. Oh, the game looks fantastic and the sound design is alright, but everything else makes this feel like some low grade Metal Gear Solid knockoff, only without anything that makes that series worth playing.